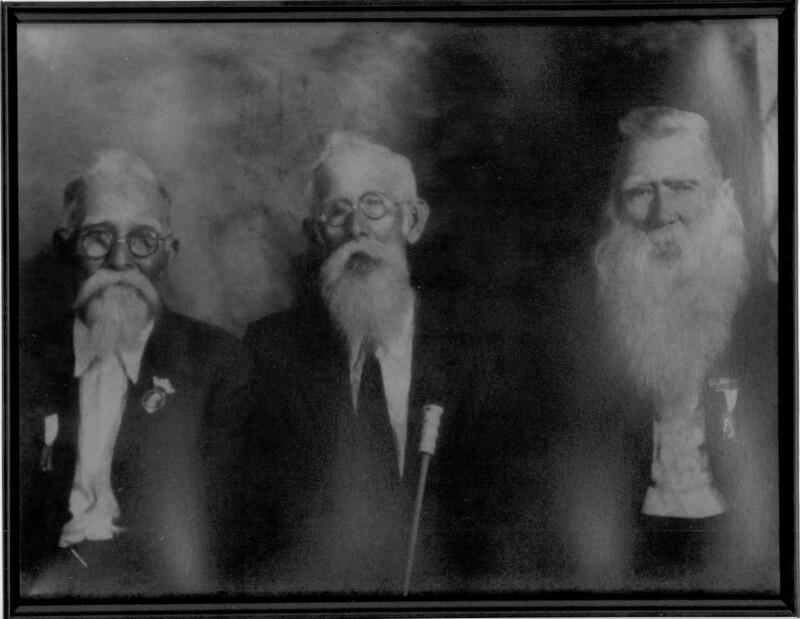 Simeon Thomas Lewis of Jasper Co MS was born 1820 in Greene Co MS. The first record of Simeon is found in the 1820 Greene Co MS Census. Additionally, he is enumerated in the 1830 Wayne Co MS Census and the 1840 Jasper Co MS Census, living with his family. About 1845 Simeon Thomas married Lydia Frances Hutto, the sister of brother John Anderson's wife, Mary Ann. Simeon Thomas is first established in his own home with his wife in the 1850 Jasper Co MS Census. Living with him is his widowed mother, Mary "Polly" Moseley Lewis. Between 1845 and 1863, Simeon Thomas and Lydia had 7 children. On 10/11/1862, Simeon Thomas Lewis enlisted in Co. B, 5th Mississippi State Troops at age 42. With this unit, Simeon Thomas' capacity would have been similar to that of a modern-day national guardsman. Simeon Thomas served until his death 6/6/1863 during the Siege of Vicksburg. In son Jacob's obituary, we learn that "his father [Simeon Thomas] was killed by his [Jacob's] side" at the Battle of Vicksburg. During the battle, Simeon Thomas was buried near Old City Cemetery in north Vicksburg. According to the National Park Service, approximately 5,000 Confederate casualties were re-interred at Soldier's Rest in what is now Cedar Hill Cemetery. In 1928 son Walden traveled from Texas in a new Model A Ford, driven by his grandson, to visit the family back in Mississippi. And, the family caravanned back to Vicksburg where sons Walden and Jacob relived their war experiences. Son Walden, a veteran at age 17, fought outside the siege with the 1st Miss Cavalry Reserves, harassing the Union blockaders. Son Jacob, at age 15 serving as a courier with his brother Walden, was trapped inside the the siege. Having reunited with his father, Jacob fought as an infantryman until the fall of Vicksburg in 7/1863. During the 1928 tour of the battlefield, son Jacob told the family members his story. By 1899, Union war memorials dominated the landscape. And, the Union cemetery was bedecked in garlands by the National Parks Service. But, where were the Confederate monuments? Jacob was able to find a tree which marked where he and his father lived in the trench on the northern flank of the Confederate lines. Jacob spoke of the morning of 6/6/1863 explaining that Grandpa Simeon Thomas had sent him to the rear to collect their meager rations. And upon Jacob's return, he found his father dead in the trench, a victim of the incessant Union artillery barrages. Reportedly, Simeon Thomas is buried either in or adjacent to Old City Cemetery now Cedar Hill Cemetery with his Confederate comrades. Lydia survived Simeon Thomas by 27 years, dying in 1890 in Jasper Co MS. She is buried at Pleasant Grove Cemetery, Rose Hill MS.
To obtain a Federal Land Patent for the North West Quarter of South East Quarter of Section No. Nine Township No. Three of Range No. Thirteen East. Containing Thirty nine and 99/100 acres in Jasper County, Mississippi. Receipt of $49.98 for 39.99 acres ($1.25 per acre) dated January 4th 1836. Certificate of Purchase January 4th 1836. Federal Land Patent granted: January 5, 1841. 1880 Jasper Co MS Census: Lydia was enumerated at the family home, living with her three youngest children. Although listed as Lydia's son, Henry was probably an illegitimate grandson. Note: Sons Willis Bonaparte and William P. married sisters Mary Jane and Rebecca McPhearson. And, sons John Hubbard and Pinkney Earl married sisters Angie Villa and Frances Eutt Williams. Research Note: From Jacob's obituary, we learn that Jacob served during the Vicksburg Campaign where he would have been paroled. From the 7/1916 Pension Application (Lewis, p. 588), we learn that Jacob served an additional term of service from 4/1864 to 5/1865. And, he surrendered at Macon Mississippi. Cited in obituary as a "Confederate Veteran"
Earl P.       10  M              "
Amanda J. 8  F              "
Corrie M.      6  F              "
Allen L.       4  M              "
Jacob H        2  M              "
Rebecca A. 39  F              "
James H.     2  M                "
Research Note: James Henry was born 2 years after Simeon Thomas was killed at Vicksburg. Family history states that James Henry was delivered to Grandma Lydia's home by his mother. 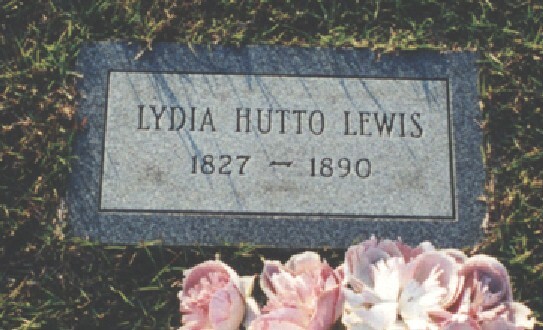 The assumption was that James Henry was the son of Lydia's oldest son, Walden Lewis. Mary C.     21  F              "
Leona C.     3  F              "